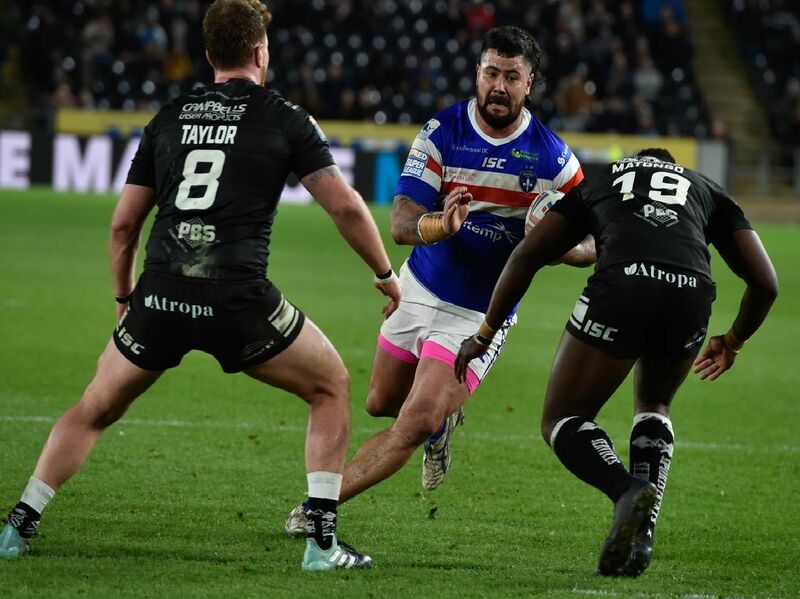 Wakefield Trinity overcame injuries to two key men and an untimely yellow card for Danny Kirmond to claim victory at Hull FC on Friday night. We have picked 11 of the best pictures from the clash as Chris Chester's side clamied their third win of the Super League season. Reece Lyne looks to outpace the Hull defence. Jacob Miller begins to celebrate as Ryan Hampshire runs clear for a first-half try. Ryan Hampshire points to the travelling support after dotting down under the posts. Centre Bill Tupou beats the cover defence to score for Trinity.